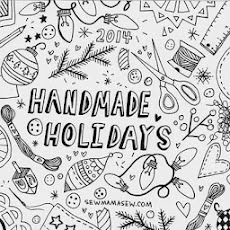 something i am very thankful for is this wonderful world of crafting bloggers. people who are willing to share their projects, tutorials, and lives with us every day. there's a big part of my daily life that just wouldn't be, if i hadn't discovered this community. we encourage each other, inspire with photos and posts, and i love it all! 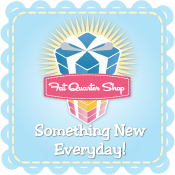 and on that note, let me introduce a fantastic blogger and pattern designer, christina from the sometimes crafter. she has a bunch of great tutorials on her blog. i remember seeing the disappearing nine patch when i first started quilting, thinking how cool is that! i made a lot of those blocks (i used them for pillows, pockets for totes, and notebook covers)! her fabric scrap baskets are so fast and fun to make, you should definitely make some for gifts. 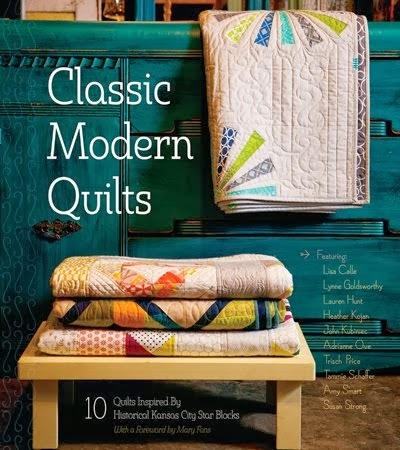 she also has a quilting book coming out next year! and don't forget to check out her patterns. this one's my favorite, called retro flowers. 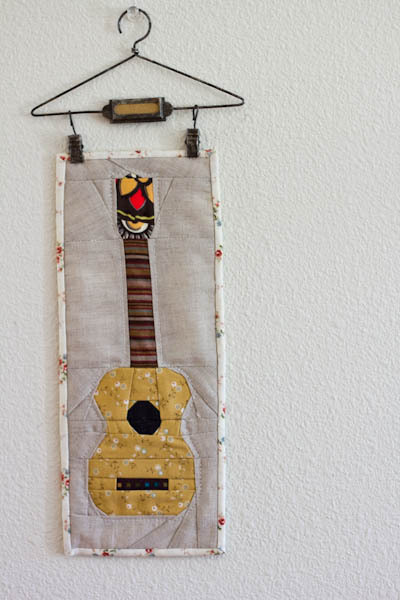 this ornate mini quilt is great for learning curves - something i want to try! and i adore the ukelele mini! seriously cute!! 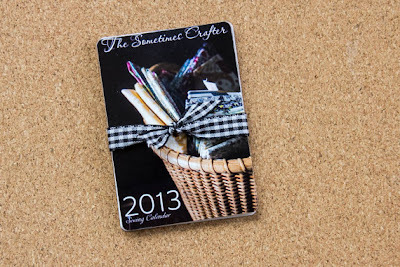 she made these cute 2013 mini sewing calendars, now for sale in her etsy! 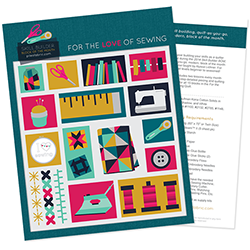 they would make great stocking stuffers or swap gifts for your sewing buddies! ready for the giveaway? for one winner, she's offering up a copy of her retro flowers and ornate patterns, and a mini calendar too! Giveaway ends noon CST 11/19/2012. Winner will be notified by email and have one week to claim their prize! Ah, number one - oh well, I still love her mini calendar! Love to win the giveaway. Love the Vintage Patchwork pattern! I still love the looks of the retro flowers. But i'm also a knitter and love the look of the knitting bag. I love the Log Cabin Needle Book! Your apron pattern is so cute! Thanks for sharing! I think it would be the Retro Flowers pattern, but everything is great! Hard choice!! Love her retro flowers quilt pattern. Thanks! Those retro flowers are just groovy. My favorite is the retro flowers quilt. I love the log cabin needle book, and the vintage patchwork pattern. Retro flowers looks exciting to make! I love her Ornate Mini Quilt pattern! http://www.etsy.com/listing/79093074/amandas-knitting-bag thanks for the chance! I like the log cabin needlebook pattern. i collect needlebooks! Thanks for all the giveaways!!! I like the mini calendar and the retro flowers pattern! I've beenadoring the retro flowers for a good while, and the log cabin needlebook looks irresistible! 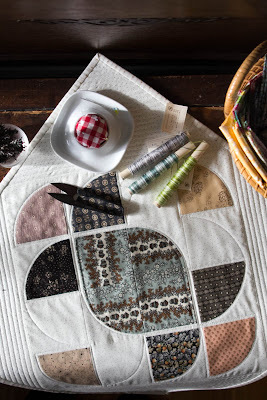 I love the Vintage Patchwork quilt pattern! Thanks to all for a great giveaway! I love her mini calendars. They are so cute. Love the retro flowers! Thanks for the giveaway! My fav item is the retro flowers pattern, I've seen it around so much and would love to try it. I have always loved the retro flowers pattern. Can I do curves? Ack, I don't know! 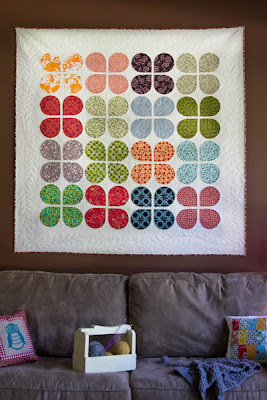 Love the Retro Flowers Quilt Pattern! I LOVE the Ornate Mini Quilt so much I bought the pattern and the templates too. Love your patterns a lot. I absolutely love the etsy.com/listing/81175572/retro-flowers-quilt-pattern!! I love the city girl apron in her shop! Thanks!